Hearing things that other people do not – in other words, an auditory hallucination – is something that approximately 5-15% of the population experience at some point in their lives. For people with a psychiatric disorder such as schizophrenia, the experience of auditory hallucinations can often be bewildering and upsetting. However, for some people unusual sensory experiences can be an important and meaningful part of their lives. It is hard to estimate the exact prevalence, but a small minority of the general population regularly hear voices without any need for mental health support. In many cases these voices are experienced as supportive, meaningful, and in some cases spiritually significant. Such “non-clinical” voice-hearers describe voices that may act as a guide or friend, in some cases having been present for many years. The existence of this phenomenon is important for a number of reasons. First, it has been used to argue for a continuum view of what are often considered psychotic experiences, suggesting that the dividing line between “clinical” and “non-clinical” experiences should be based on a person’s need for care, rather than the presence or absence of unusual experiences. Second, it highlights that distress is not a necessary part of hearing voices: some experiences may be distressing, others not, and some may become distressing depending on a range of other factors (including life circumstances, or how a person reacts to the experience). Finally, non-clinical voice-hearing offers an investigative and empirical opportunity: a chance to test models of hallucinatory experience away from the complex swirl of factors – such as medication use – that typically affect psychiatric research. 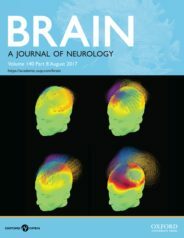 In a recently-published study, we used fMRI to scan the brains of a group of non-clinical voice-hearers. We aimed to test a recent theory of hallucination and perception that is based on the brain’s expectations and predictions about the sensory environment. It has been argued that our perceptions can be understood as a kind of prediction: a model we generate of the sensory world, based on prior knowledge and expectation, which is only updated when enough errors are noticed in how the “model” fits the world. It has been suggested that hallucinations may just be an extension of that idea: models of the world, driven by expectation and knowledge, that spot signal and meaning in the environment even when the underlying evidence might suggest otherwise. In many cases such predictions might lead to false or inaccurate sensory perceptions. But in some cases – such as when the sensory world is ambiguous – a strong model or prediction may actually help us understand what is happening. An example of this is provided by sine-wave speech. Sine-wave speech is an artificially generated speech stimulus which is very hard to understand – and even to recognize as speech – until you are told to listen to it as speech, and ideally trained with a few examples of the sentences underneath. Once this happens, people often switch to a “speech mode” and are able to understand what is being said amidst the strange noise: their knowledge and expectation for speech changes and suddenly they can perceive the hidden meaning. Sine-wave speech examples provided by Stuart Rosen, University College London. Used with permission. For people who regularly hear voices, we wanted to know how they would respond when listening to this form of ambiguous, disguised speech. We reasoned that, if their expectations and predictions of the world created voices, then they might also enable them to understand the hidden meanings in sine-wave speech. To test this, we played sine-wave speech to 12 non-clinical voice-hearers and 17 control participants (members of the general population with no history of voice-hearing) while they were in an MRI scanner. They were not told that any speech was present: instead we just asked them to listen out for a similar target sound that contained no speech at all. After the scan, we asked them if they had heard any words or sentences in the speech, and if so, if they could repeat any back to us. We then trained them to understand the speech, and scanned them again. We found that the voice-hearing group tended to hear words and sentences in sine-wave speech before control participants could, and even before they were told that speech was present. 75% of our sample of voice-hearers reported hearing words in the stimuli (compared to 47% of controls), and when we asked participants to estimate when they noticed, voice-hearers reported that they had realised around 3–4 minutes earlier than controls (on average). In other words, the voice-hearers seemed to be able to spontaneously “tune in” to the hidden meanings in the sounds. Crucially, this was also reflected in brain activity: the brains of voice-hearers were better able to discriminate sine-wave speech that contained hidden meaning from sine-wave speech that was meaningless. This was found in two regions that have been linked to attention and monitoring skills: the dorsal anterior cingulate cortex and superior frontal gyrus. Our study has a number of limitations that need to be acknowledged. For example, this is only a small study because it is very hard to recruit non-clinical voice-hearers. We view this experiment as only a preliminary step in understanding how our brains might create something like a voice that others cannot hear. But what this work allows us to do is get closer to understanding how such experiences may develop from our everyday sensory perceptions; something that could happen to anyone, and not just someone with a mental health condition. More research of this kind will allow us to really understand the continuum of sensory experience: from clinical to non-clinical, hallucination to perception, imagination to reality. Featured image credit: Hearing by GDJ. CC0 public domain via Pixabay. Dr Ben Alderson-Day is a Research Fellow at Durham University and a co-investigator of the Hearing the Voice project, which is funded by the Wellcome Trust. Dr Cesar Lima is a psychologist and neuroscientist at the Faculty of Psychology and Education Sciences at the University of Porto. Both are coauthors of “Distinct Processing of Ambiguous Speech in People with Non-Clinical Auditory Verbal Hallucinations”, published in Brain. Professor Stuart Rosen is thanked for providing permission to use the examples of sine-wave speech. I have not read the full study, but it seems to me that this is consistent with better peripheral hearing. I have reviewed the literature on musical hallucinations, and shown that they arise from the ear, specifically Meniere Spectrum Disorder, a hyperactive and hypersensitive state of the inner ear. So I would have predicted that anyone with auditory hallucinations would be better able to extract or impose meaning on ambiguous auditory input. I “got” the first clip at the first hearing, but tried and failed several times over to hear anything meaningful in the second. Will there be anyone to respond to these comments with a quick answer to the question whether the two clips are intended to have this sort of difference? Re “understanding how our brains might create something like a voice that others cannot hear.” – is there any reason not to think that the how of it might be no different from dreaming?